Thank you Goldorak for a great review! Brings back memories of my stays at this lovely hotel - by far my favorite in Bangkok and absolutely one of the best Accor experiences I've ever had (the other ones being Metropole Hanoi and Pullman Da Nang). And yes it should be noted the elements are grouped together, so highest floors water, then earth, metal wood. (If I remember correctly). so for views, only 3 elements do it for me. My preferences are slightly different: water (if not anything else for the sheer joy of the big bathtub overlooking Lumpini Park), wood, metal and earth. The first three are good for me, but I will absolutely decline to be put in earth element room. Highest floors are occupied by water element rooms, followed by wood. That much I remember because those were the two elements I've been in. All water element rooms are club-level, so if you're not getting a club access you only have 3 choices of elements. Does anyone know what is the difference (if any) between So Comfy and So Club ? For me there isn’t any difference apart the Club access (the room size and description is the same apart the club access). I think So Club has the Illy coffee maker, other than that, no differences. Thanks. That’s what I thought and confirm that it’s a fake platinum upgrade when they propose you a so Club upgrade when you have booked a so Comfy one. The club access is a platinum benefit and comes on top of the room upgrade. Both Comfy and Club rooms has Illy coffee machine. The only difference I see is that the Club room has guaranteed park view and king bed. However, I have stayed in a Club room that had city view so I guess in a real life the only difference is actually the lounge access. Goldorak, thank you for this detailed and entertaining review. Couldn't agree more with you. tris06, Jeff_ and cocoleolol like this. I think there is system wide problem. If I did not see you post, I thought this NSS just do not know how to handle the posting of multiple room. I wrote to them, they told me there is some system glitch and they have rectified it through manual post. There is a problem for all members except Lifetime Platinum members. I didn't have any issues getting my full points last weekend. Do you use any points to offset they stay? seem to me the issue is only with the people who use points? No, but I did use a stay plus cert (on a 2 night stay). I also asked him about this weird change of happy hour cocktail time at the lounge, and that I was not really buying the customer feedback thing, and that I was suspecting more a kind cost cutting measure. Indeed, if you are here for holidays, it €™s too early as you are still in town or you are at the pool enjoying the best time of the day (less hot, less direct sun), and if you are here on business you are simply out for work. And you come back when it €™s already over. So by changing it to an inconvenient time for most of the people, you decrease the number of persons and related drink consumption). He said that it was recently changed for a 3-month test period. He confirmed the customer feedback thing but I understood it has been a few customers having rooms on the lounge floor who complained about too many people traffic on this floor because of the lounge at a too late time (no comment about 7 pm being a too late time + sound proofing is very good at that time). But he admitted between the lines (without saying it explicitely of course), that operating costs and revenues were part of the equation. He mentioned that operating a lounge was costly (and that 2 Bangkok Sukhumvit area hotels, the Park Hyatt and the Sheraton, recently shut down their lounges to make an additional suite*) and that, with the 5 to 7 pm time, many people were not hungry anymore after the lounge visit, sot hey were not having dinner in the hotel restaurant and so it was a loss of revenue. *he said also that they have only 12 suites at the So and that was not enough as they are often fully booked and soi t can be a problem for the Platinum upgradesOf course, I can understand all this, but I tried to deliver clear messages to him, from my customer perspective :a lounge is a great competitive advantage (I can choose an hotel vs another one because of this) and that the decision of the 2 competitors was really very stupid, IMO, especially in Asiathe new 4 to 6 pm cocktail time is bad, and they should come back to 5-7. - Park Hyatt Bangkok does not have a lounge, never had a lounge, and in fact as a brand, Park Hyatt typically does not have lounges except for a handful of properties in the world (Melbourne comes to mind). If you were told that PH shut down their lounge for a suite, then he was giving you complete BS and is only making excuses to justify their own change. Last time I was at Park Hyatt was August 2017 so things might have changed since then. While they do not have a lounge, they had happy hour with drinks and snacks close to the area which they use for breakfast in the morning. Maybe happy hour has been discontinued since August 2017 which is possible in light of the comments from the Sofitel So manager, but for sure they did not close a lounge. - Sheraton Grande Sukhumvit has been opened for much longer than Park Hyatt, but as far as I can remember it never had a lounge. So either it's complete BS to say that they closed the lounge for a suite, or he's talking about something that happened several years ago. Also, comparing happy hour at Sofitel So with Sheraton Grande Sukhumvit can be a slippery slope. The downside of not having a lounge at SGS is clear (= snacks are limited), however you can have drinks in 3 locations at SGS which is great if you have a multiple night stay. You can go to the Library, to the pool area outdoors, or to Bar Su. The latter is a great bar that many people who are not even guests of the hotel go to. And drink hours have been expanded at the Library and now it's 4pm to 8pm, which puts the 4pm-6pm hours at Sofitel So to shame. - Other hotels have also increased their drink hours, notably 4 hours at Athenee and 3 hours at Royal Orchid Sheraton. - If a Platinum guest needs to ask for a suite when they are available, I personally find it slightly irritating. That combined with the cut in happy hour times, it might be a sign of nickel & diming by the hotel, which does not make me feel warm and fuzzy about trying this hotel. There are several competitors from other hotel chains that give suites to Platinum guests without having to ask, SGS being one of them. I have had good success at Le Meridien as well. I am 0/4 on suite upgrades at Athenee but every time it was because suites were not available (I confirmed myself on spg.com). Platinum guests on FT confirmed that they got suites there without having to ask, same for Park Hyatt. - I can see that several people here are very happy about Sofitel So despite some hiccups. So it's an indicator that the strong points of the hotel are very strong and you are willing to stomach it and still return. After all you vote with your feet and you guys make logical decisions. However it makes me a bit hesitant when I read about dirty spots and holes in bed sheets for a hotel which is supposed to be one of the best in Bangkok. So overall I keep an open mind and it's very informative to hear feedback from the Accor forum because I am more familiar with Hilton, Starwood, and Hyatt (soon Marriott too). 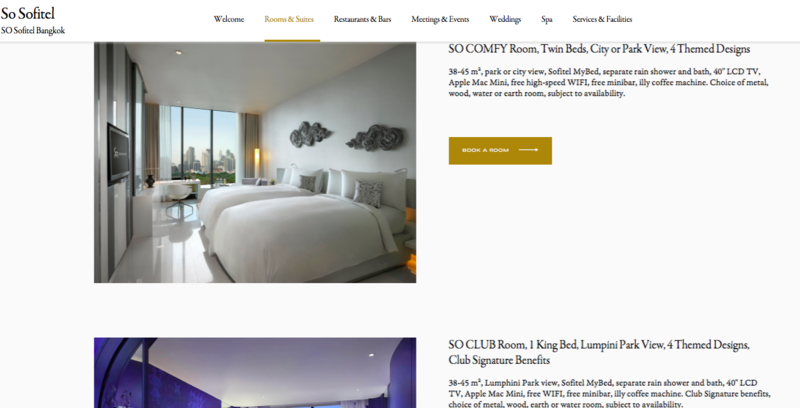 But what I see here are people happy with Sofitel So but with more issues which seem to pop up than I get at hotels which are generally 1-2k THB cheaper than Sofitel So. Bangkok is very competitive so any slippage and top customers will start looking elsewhere. I kind of started liking this hotel when they showed me my room, 2407, earth element. This is a fabulous room. Much much better than I got when I stayed here almost 3 years ago as a Platinum. Strange. The room has bath tube which kind of open and seperate shower area. ​​​​​Nice few of Lumpini Park also. But, this morning the interaction at the front desk really pissed me off. I asked for 2pm check out. It was turned down after they checked my particular in the system and told me check out time is at 12pm. I told them I am Gold and they told me they are running full and that benefit is subject to avail. I did push for it but they still rejected and apparently the guy was checking with his duty manager I guess (which I didn't know). I walked away and the guy chased me and told me he talked to duty manager and they can give me 2pm check out. But this is too late already. I was really pissed off and the whole good experience is just washed out just like that. When I returned to me room, I tried to make dummy booking for tonight. I can still book 3 rooms at SGD262 which is around THB 6,400, which I don't think this is the top end room in the hotel. I know they may have high occupancy rate but definitely not full house. Also the check in time is 3pm and there is still chance some guest will arrive later than 3pm. ​​​​​​​So I am not really sure why this hotel is playing a hard ball on 2pm late check out. I think I made up my mind to stay away from this hotel for the moment, and reap the benefits of status with other hotel chains. Thanks all for the honest feedback.